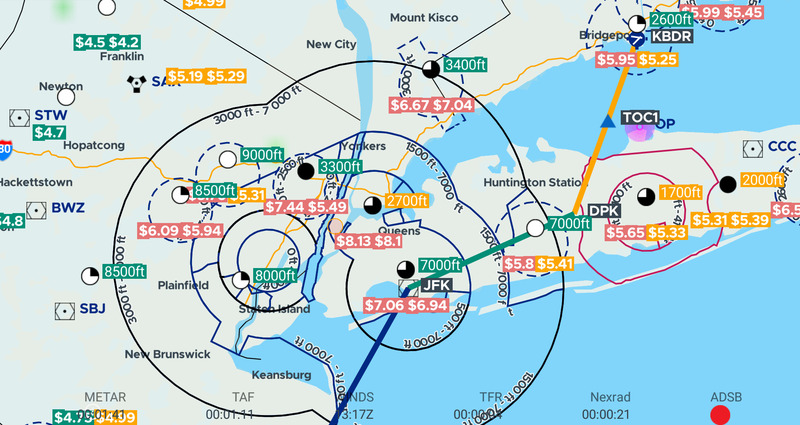 AvNav EFB provides comprehensive information on all of flight planning needs including FBO Information and Fuel prices. Fuel prices are shown overlayed on the map page and updated daily. You can search and compare fuel prices from map page - savings from one fill-up alone can pay for years of AvNav subscription! 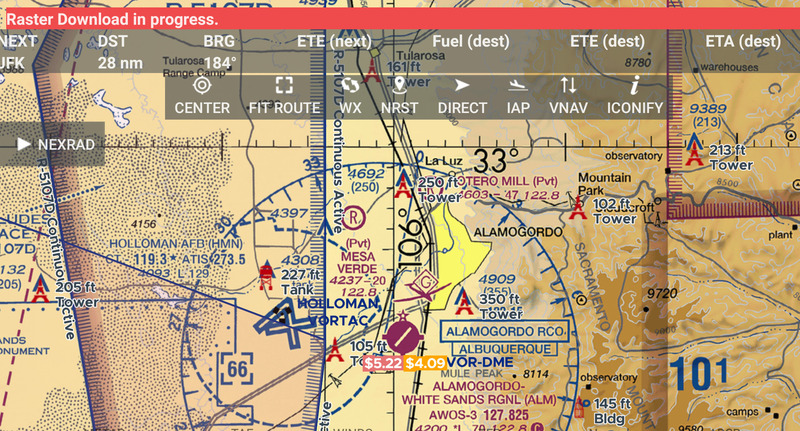 AvNav is the only Android App to support all of Victor Airways, DPS, STARs and Instrument approaches in the flight plan. You simply pick a DP, a STAR or an instrument approach and the App will insert the waypoints from initial to final fix. For long range flyers, AvNav does winds aloft calculation based on GFS Wind Model for each waypoint showing your accurate time in flight and ETA. Do not fly again with inaccurate wind data. Use Altitude Optimizer to find best altitude for speed and comfort (temperature). You can file an FAA Flight Plan and get weather briefing (Route or Area Briefing) from the App itself. AvNav keeps a history of all filings and briefings that you can review anytime. Most information is automatically copied from active flight plan thus reducing any need for typing. AvNav displays terrain and obstancles along the route of flight showing terrain above flying altitude in red. 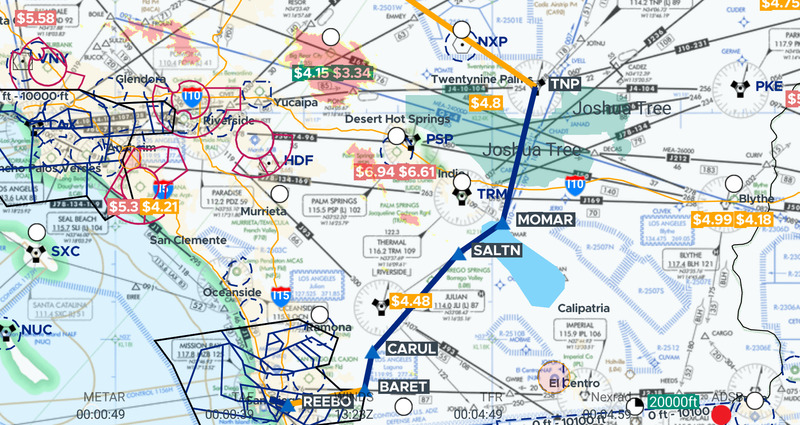 While planning a route you can vary your altitude to find lowest altitude to clear the terrain for the flight. As you fly along the route (or climb and descend) - terrain color changes contnuiously to reflect your altitude and clearance from sorrounding terrain. New in AvNav 4 is our unique hardware accelerated Hillshading display- digital terrain data is used to show undulations interrain AvNav terrain is useful not ust for muntain flyers but even to thos who flyin flatlands. Our charts are hosted on Amazon AWS - so they are fastest in the business. You can download multiple charts at the same time and you continue to use the app while the downloads are in progress. AvNav is the only major App on Android to do so. You don't need to type same things over and over - all of user data is synced with the cloud - flight plans, briefings, aircraft information - again the only Android App to do so.